Explore the masterpieces of one of Florence's most important museums with this 1.5-hour guided tour of the Uffizi Gallery. Walk through the historic halls of the Uffizi building and marvel at the amazing paintings. Make sure you don't miss any of the highlights of the Uffizi Gallery with this 1.5-hour guided tour. Meet your guide outside the famous museum at entrance number three. Head inside for an unforgettable walk through Italian art history. See pieces by Michelangelo, Leonardo da Vinci, Raphael, Botticelli and much more. 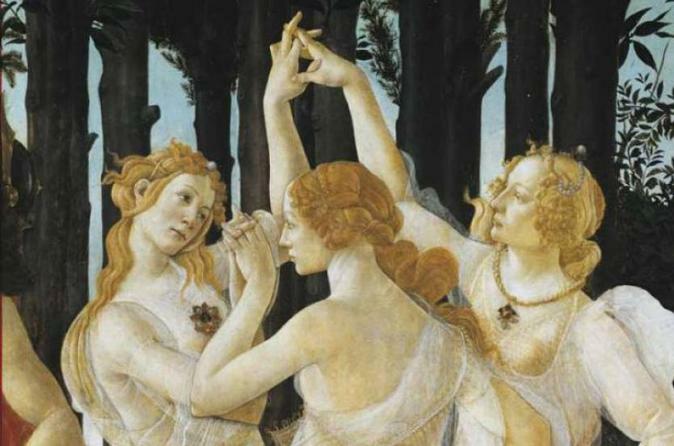 Please note: Tickets to the Uffizi Gallery are not included in the tour price. You will have reserved entry tickets for the museum, and before entering you need to pay for and pick up your tickets at the ticket office.